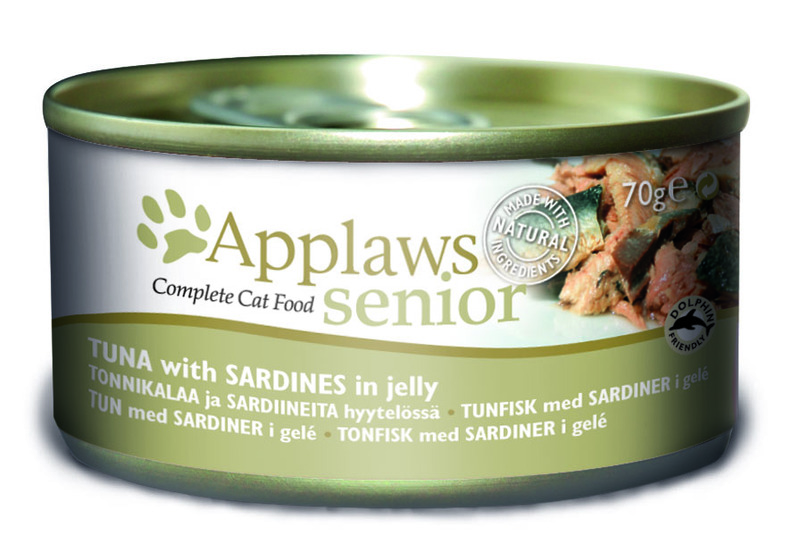 Applaws Senior Tuna & Sardine is a complete cat food which helps to support the essential aspects that need looking after when a cat gets into his senior years. Sardines have been included due to their low calorie content and vitamins A, B, C, D, and E which are essential for good health. Sardines also speed up the metabolism which helps to burn excess fat, and are known to support a healthy heart and bone strength. There are also general health supporting minerals such as calcium, iron, selenium, phosphorus, magnesium, and potassium. Tuna Loin 35%, Sardine fillet 17%. The following guide shows the recommended daily feed amounts for cats. Please make sure your cat always has access to clean water. There are currently no questions for Applaws Senior Tuna & Sardine Canned Cat Food - be the first to ask one!